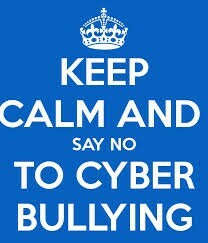 I believe cyberbullying is not a fun matter because it is hurting many people. Many webpages are used to send people bad messages such as if one of your friends is mad at you and you guys are on Facebook and she sends a horrible message to you its sent she can't take it back. Cyberbullying is affecting many live and hurting them. So if you hear about something about a webpage that you and your friend think is fun to send messages be careful because you can be the next target for Cyberbullying. when your in this situation the best thing is to stay calm and whoever wants you to do something like this DON'T DO IT. What going to solve your problems if your calling people names? a girl who is being called really bad names and crying because of it. Why would people do this to children? 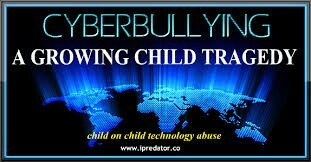 its about children trying to grow up but having cyber bullying dragging them down. Stop this before it is to late! if you want to learn more click this link.